Summer is coming to an end and it’s time to head back to school. As we send our children out toward the school busses, armloads of homework, and bad cafeteria food, we can’t help but think back to our school days. The eighties were some of the coolest years to be alive. When you coupled big hair, pleather pants, spiked rings, and long, sleek Trans Ams with skating rinks, Poison, Bon Jovi, and Cinderella, you were guaranteed to have an awesome time. So, as you think back to that wild decade of decadence, you probably can’t help but feel a tug at your heart strings as you realize, like the rest of us, that your youth is slowly waning. But never fear! We have an incredible party idea to share with you that will, like totally, blow you away, man! Take the kids to the sitter, break out your killer 80’s CDs, and invite your friends to your backyard, rockin’ 80’s bash. Take the time to set the night on fire just as you did in high school! Take your favorite acid washed jeans out of the attic, throw on a black concert t-shirt, cake on the makeup, tease your hair until it touches the ceiling, and prepare to be blown back to the days when Bret Michaels and Vince Neil were cool. Like, everybody’s doing it, man! And you won’t be, like totally, cool if you don’t, dude! Didn’t save those acid washed jeans or black concert t-shirts? No problem! 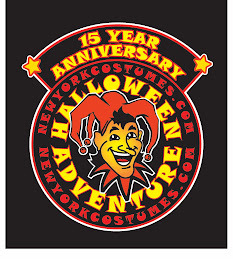 As with all totally awesome eras in history, costume retailers, like NewYorkCostumes.com, carry a huge selection of wickedly wild costumes, man! Is your hair not long enough to tease or are you completely out of blue temporary dye? It’s like totally okay, man! 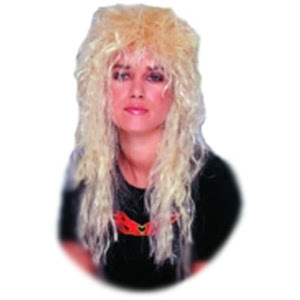 NewYorkCostumes.com carries a large selection of retro 80’s wigs as well! Relax, let the pressure drift away, and party like it’s 1989 when you throw the wildest retro 80’s bash your town has seen since the ball dropped on 1990!